According to the neighbours, Sheikh Nazir doubted his wife Saima Bibi of being unfaithful to him since the birth of their child, who was fair complexion despite Nazir and Saima being dark. 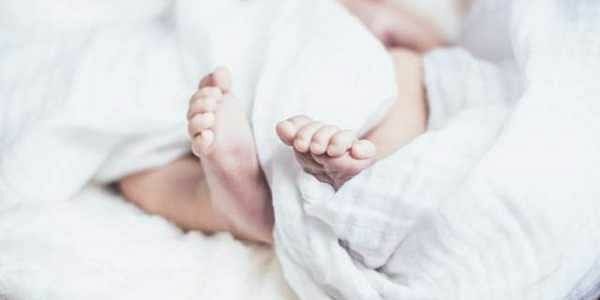 KOLKATA: A two-and-a-half-month-old baby was strangled to death allegedly by his father for being fair skinned despite the parents being dark, at Budge Budge in South 24 Parganas district of West Bengal on Monday. Nazir allegedly physically and verbally abused Saima for the complexion of the baby. Saima, on the other hand, stood her ground stating that the child was biologically theirs and not a result of an extra-marital affair. Saima said that she had heated arguments with Nazir on Sunday evening and he even threatened to kill the child. Doubts over Nazir strangling his child were raised after the baby was found dead beside his father at their house on Monday morning. Nazir was beaten up by his neighbours as soon as news of the baby’s death spread, after which he fled the area. However, Nazir’s parents claimed that the baby died of cold. On the other hand, police have refused to book a case or arrest Nazir until the post-mortem report is received on Tuesday. “There is no accused in the case till now. Whether the death was natural or unnatural can only be ascertained after we receive the post-mortem report on Tuesday. At present, both Nazir and Saima are at the hospital where a post-mortem is being undertaken. We have not received any complaint against Nazir. We will proceed in the case only after receiving the post-mortem report,” Diamond Harbour SP K Rao told the New Indian Express.